YAOUNDE, CAMEROON: There is renewed interest by academics, civil society and legislators over the continent’s extractive sector and want a common mining law. The legislators are concerned over natural resource governance and economic development on the African continent and are pushing for legislation that addresses issues of transparency and accountability by the governments and mining companies. They noted that Africa finds itself in a paradox of plenty where its abundant endowment in natural resources does not lead to equivalent levels of prosperity, development and industrialisation. 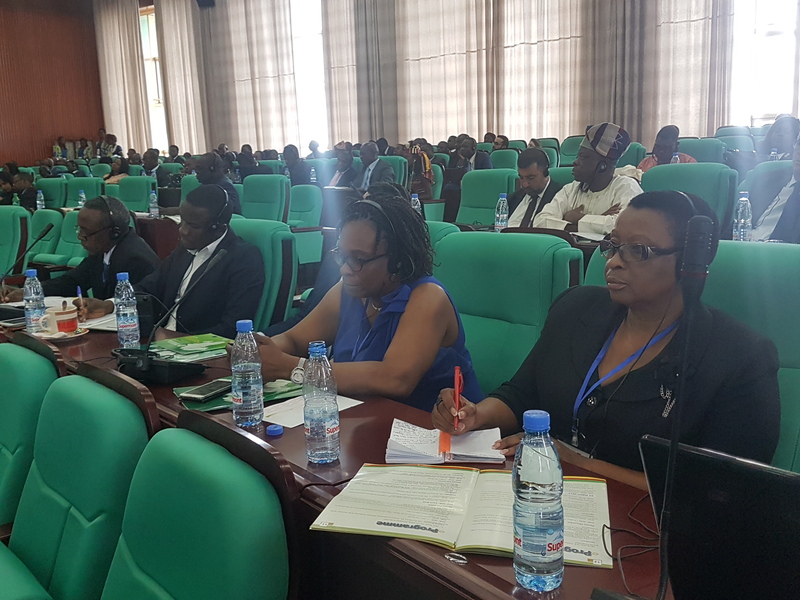 Meeting in a continental conference in Yaounde, Cameroon, on Thursday, African legislators sought to adopt and ratify a model law on a new development approach to natural resource governance in Africa. He elaborated that the African Mining Vision, adopted by African heads of state during their July meeting in 2009 in Kigali, is seen as a solution to the poor governance, lack of strong institutions and weak policies in African states. He explained that the AMV framework is currently being used in several countries such as Mozambique, Ethiopia, Lesotho, Tanzania and provides for a transparent, equitable and optimal exploitation of mineral resources to underpin broad-based sustainable growth and socio-economic development. Honourable Geoffrey Lungwangwa (Zambia) was concerned that some colonial land laws still obtain in Africa. He said there is need to have a model law that eventually will empower local communities to have shares in the mining companies so that they are economically empowered. According to Hon. Bernadette Lahai (Sierra Leone), who comes from a diamond mining area, exploitation and child labour is rampant in mining areas and legislators often have no information on agreements entered by the mining companies and the state. “Children as young as six years work in the mines. We don’t want mining to affect education,” she said adding that “Mining agreements are conducted between government and the mining companies leaving MPs and the local population in the dark.” She argued that there is need for capacity building for MPs to monitor and oversee the mining activities in their countries so that they can approve or reject mining deals that come to Parliament. “We have different land laws and policies. Having one unified model will be complicated,” she said. “There is also the issue of who owns the land where the minerals are found. The land tenure in African countries in different. Some land is owned by the government, individuals, and others owned customarily. We also don’t know how much of our natural resources we have,” she added. In an attempt to reverse the curse of resources, the East African Legislative Assembly is in the process of adopting a mining law for the East African region. The East African Mining Bill, 2017 will provide a legal framework to harmonise and regulate mining operations in the region and ensure environmentally friendly and sound mining practices. The bill was presented for First Reading in March this year. The four-day conference on the theme “The issue of political and socio economic integration of the African continent: The role of the Pan African Parliament” is taking place in Yaounde, Cameroon from 22-25 August 2017 and has attracted legislators, civil society and academics from Africa.